Always thinking of beautiful Billie. Since the beginning, the aim of the Little Hugs has been to provide little blankets that give comfort to babies and small children who are seriously ill in hospital. This project is an extension of that and was launched in 2013 as a tribute to beautiful Billie who died at 14 from leukaemia. 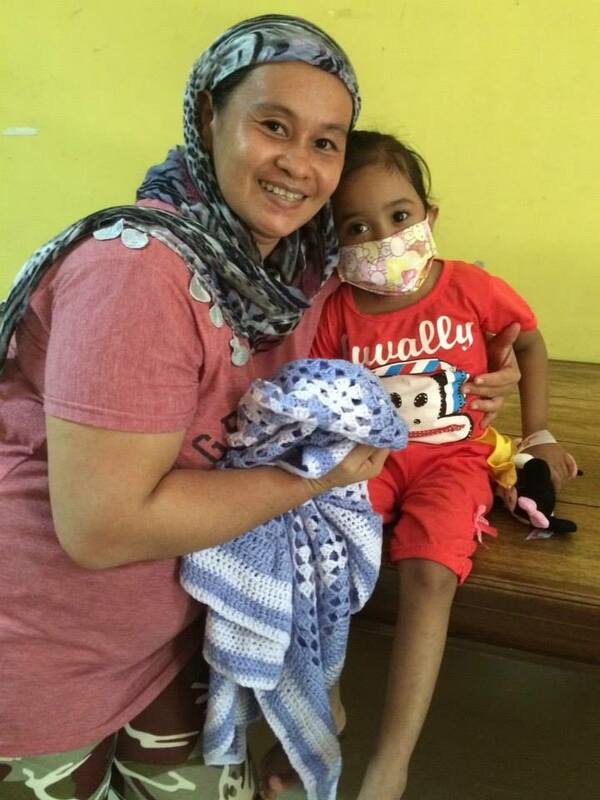 In her name, we send little blankets to children who really need a woolly hug and to feel loved and looked after. We work with the wonderful organisation World Child Cancer and are arranging for Little Hugs to be sent to children suffering from cancer in low and middle income countries. In these countries their overall chance of survival can be under 10% compared to around 80% in high income countries such as ours. The first collection of Billie’s Blankets went in April 2013 to Malawi. These children need all the love and comfort possible. So please, in memory of a sparkling young girl who always thought of others, we’d love you to help us help them. As ever, thank you so much for your support.All crafting info is below. Colours: Your choice. Although for practical reasons, we advise avoiding white and cream. Things to avoid: Any embellishments that could scratch delicate skin or could be swallowed.If you would like to take part in this project but feel you can’t due to the costs involved, please message us and we’ll try to help with materials.If you would like to contribute towards materials, you can either donate via Paypal here on our Woolly Hugs website or if you do not have Paypal, please message us.